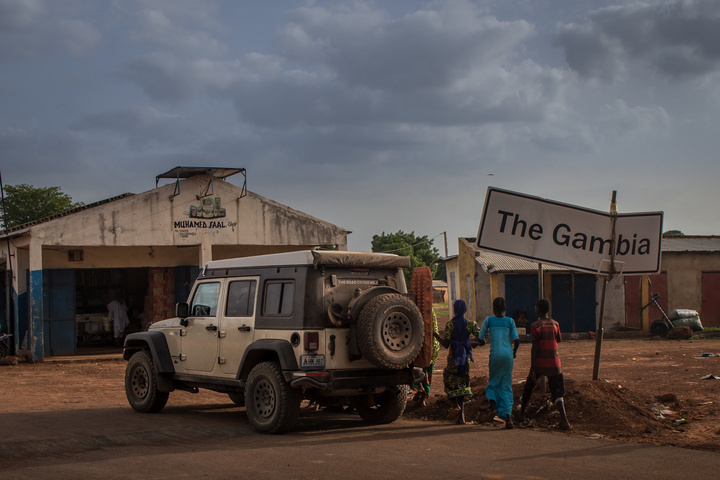 I have driven into Gambia, country #4. After hours of arguing, I ended up paying my first bribe, unfortunately. I'm learning French as fast as I can, it's the most widely spoken. A couple of countries on the West coast are Portuguese, none are Spanish. I also learn a couple of words in the local African language (hi, thanks, yes) and it makes people extremely happy! 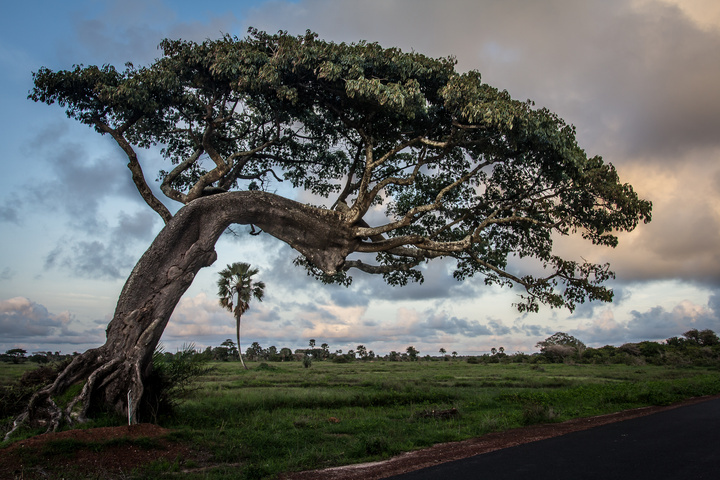 Poruguese is the official language of Guinea-Bissau and Angola. It's similar enough to Spanish to get me into trouble - ie. some words are the same, but not quite enough for my Spanish to get my by. I don't know about Equatorial Guinea, as a non-US citizen it's essentially impossible for me to get a visa to go there, and I doubt I'd want to anyway, given it's often ranked the most corrupt country in the world. Here's how it looked driving across Mauritania, skirting the edge of the Sahara desert. So how has cell service been? Have you had it most of the time? Fuel? Easy to find? 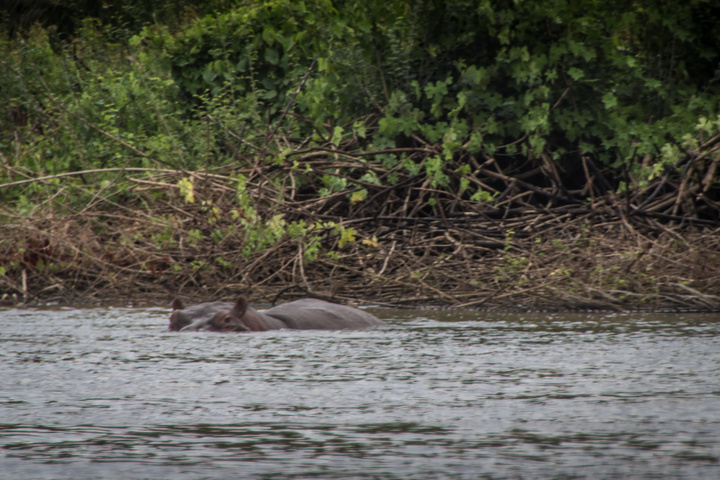 I've been hanging out around The Gambia River, and spotted my first Hippo! 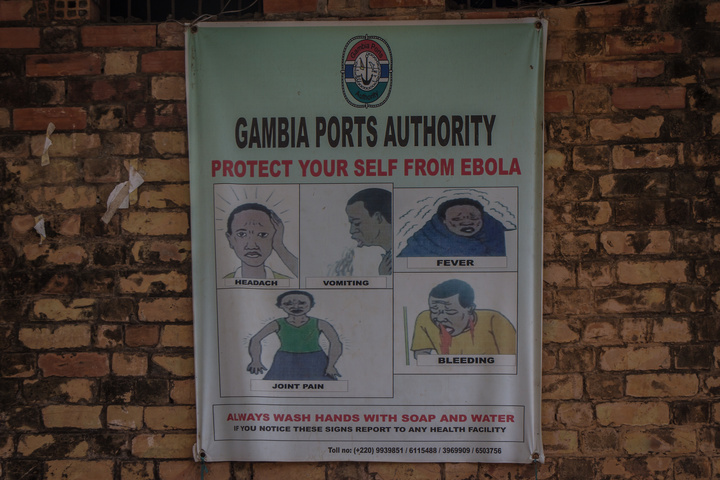 ...And my first Ebola warning sign... then I got horribly sick. Damn. Another day, another bribery attempt foiled! Also, 9 hours to catch a single ferry - a new record for me! Very cool to see all the old history and wildlife. A couple pictures on your site looked like there were dark clouds in the sky. Have you had any rain yet? Keep the updates coming, you living my dream. All the planning and talking about this ,back when you joined the forum ; this is the pay off . 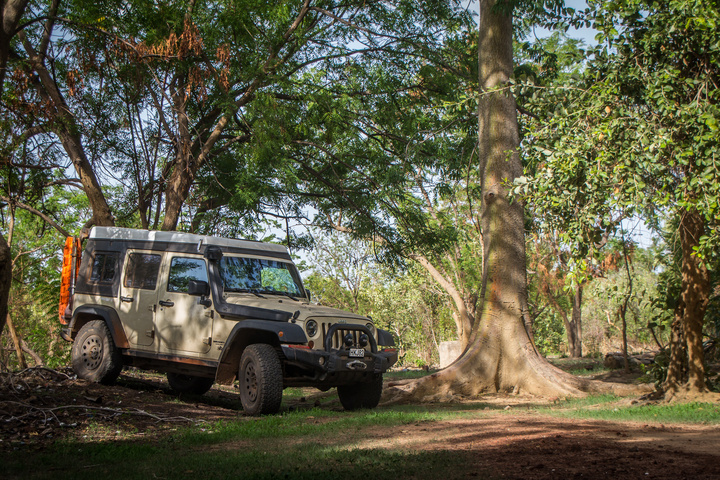 Look at that awesome Jeep you built and where it sits , optimally parked to optimize water availability under a bloody Baobab Tree in outer Gambia. I would be immensely proud of accomplishing this & sure am glad to be able to thank-you (very much) for your excellent documentation of the buildup-to and ultimately, this fine trip /life experience which you're on at the moment.Keep having fun and I am just one of the many folks that are enjoying vicariously traveling around what is seemingly a beautiful continent and people, thanks to you. Last edited by j3ff3ry_j33p; 10-21-2016 at 05:57 PM. I have just posted a video of my time in Senegal - which shaped up to be the Africa I have been dreaming of - colorful, friendly people, and street parties! Now that looks like a cool stop. Your luck = show up the day of a party. My luck = show up the day of a outbreak or coup. I told a couple that I did a loan for about your website. They were nomads and did a 18 month trek around the US and Mexico. Stopped for a year bought a small place now sold it and now they are back out there doing it again. Cool stories they had, just like you do. Thanks to my useless timing, it now rains every single day for between 8 and 10 hours. It's the hardest rain I have ever seen in my life, and is usually acomanied by a massive thunder and lightning storm. Monsoon season has real meaning there. Beautiful country. 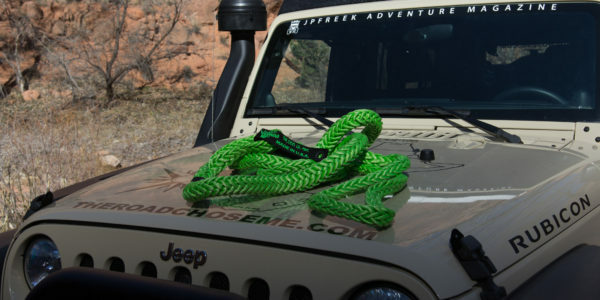 So now that you've been at it for a while, any comments on how your setup in the Jeep is working out? Anything you wish you had done, or wished you didn't do? 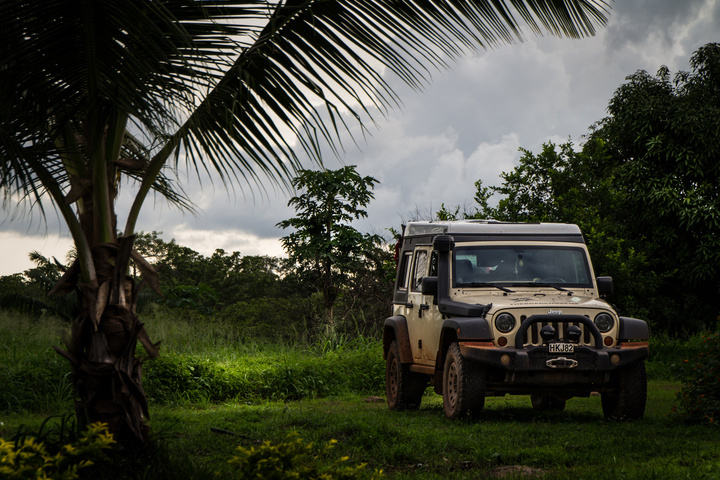 I have driven into African country #5, Guinea-Bissau. Amazingly, the bribery games are identical to my one day crossing of Honduras a few years back. 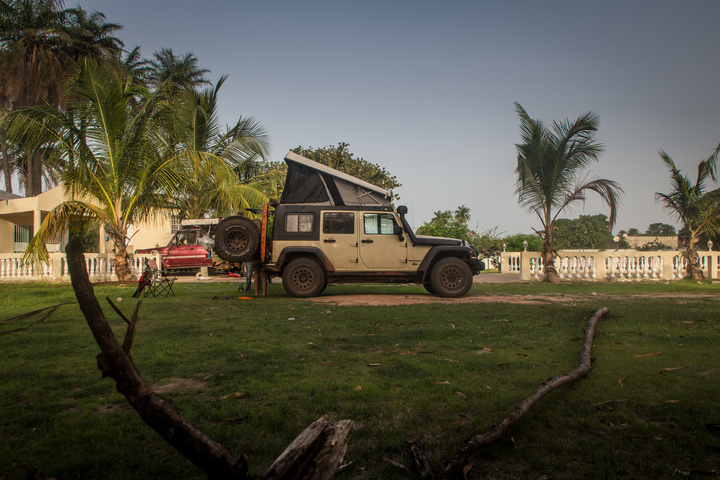 Here's how Gambia looked in video format! I have finally written up an article on the Recovery Gear, Tools and Spares I am carrying for two years around Africa. What would you bring that I don't have? Thanks for keeping us up to date. Stay safe over there! 2.5" RK, 4.56 gears, Detriot Trutracs F/R, Or-Fab front cage, Synergy rear cage, Mastercraft Baja RS seats, and a ton of other mods! I have driven into Guinea, African country number 6 ! I'm excited to see mountains right off the bat. This is going to be great! Weren't you supposed to be staked to an anthill and left to die, or something by now? it sounds like a great trip, and am glad I get to live vicariously through you. I think he already joined Boka Haraim. That gets him a free pass everywhere. But ya, it's very cool to watch his trip move along. 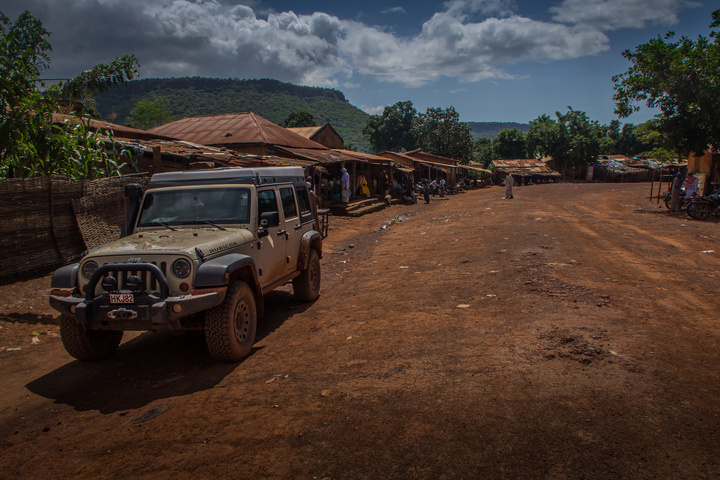 I'm exploring the North of Guinea and absolutely loving it. 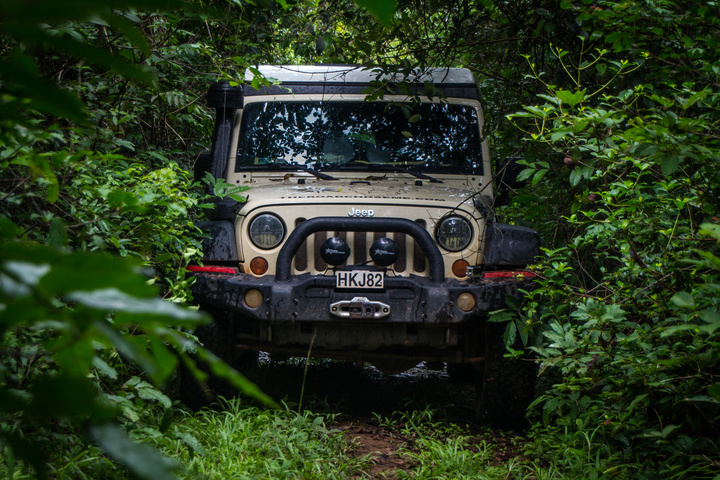 Small jungle tracks that lead to massive waterfalls are becoming my favorite thing! Now that looks like Africa. What kind of wildlife do you see there? Make sure you post pics of the falls on your site or here.